These camera belts are made for transporting your heavy equipment in special pouches: ‘B’ ‘S’ ‘E’ and ‘K’ series. 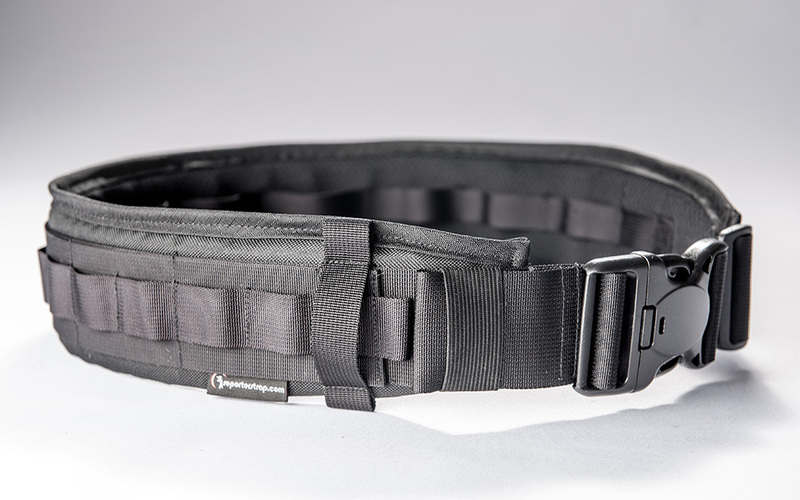 They are made of high quality polyamide stripes, materail cordura / ripstop type, polyurethane foam (V9 camera belt) and mesh what helps to ventilate your back. V8 version of the belt is used for transporting lighter prime lenses . It is in 2 sizes. 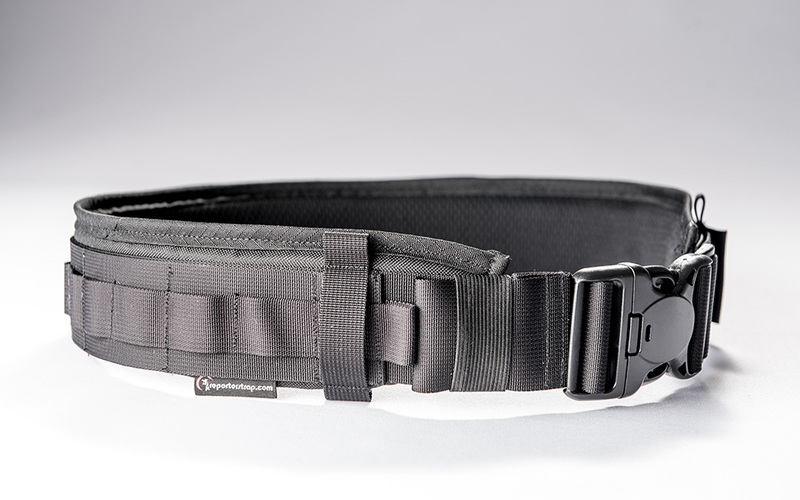 At the end of the calera belt there is a loop to attach the 5cm stripe which regulates the length of the camera belt. 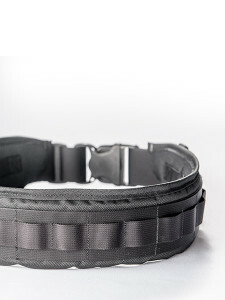 The belt has got Duraflex buckle (you have to press three buttons to unclasp the camera belt) and the additional adjuster which blocks one side of the 5cm stripe. 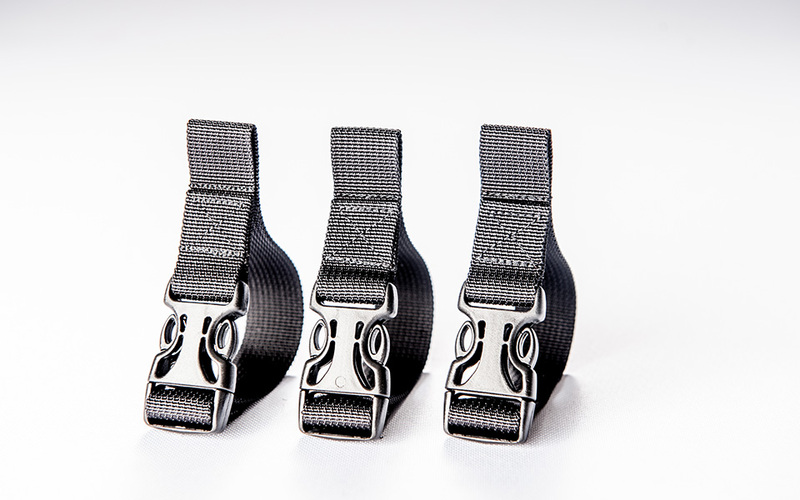 In every kit there is the Duraflex buckle, adjusting buckle and mesh bag in which the camera belt is packed. 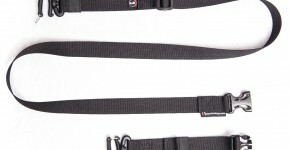 S/m size can be regulated from 75 cm to 105 cm, the stiffen part of the belt has 7cm height and 71cm length. This camera belt has 8 points to fasten pouches. L/xl size can be regulated from 90 cm to 125 cm, the stiffen part of the belt has 7cm height and 88cm length. This camera belt has 10 points to fasten pouches. V9 version of the belt is used for transporting heavy lenses. It’s got additional stiffening. 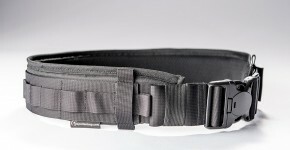 At the end of the calera belt there is a loop to attach the 5cm stripe which regulates the length of the camera belt. 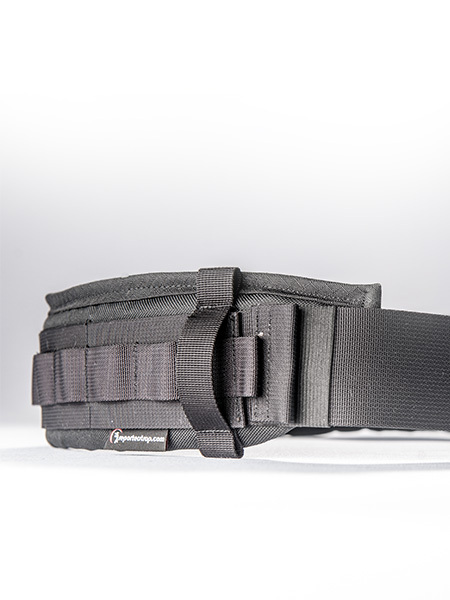 In this camera belt you can attach pouches on both sides: inside and outside. 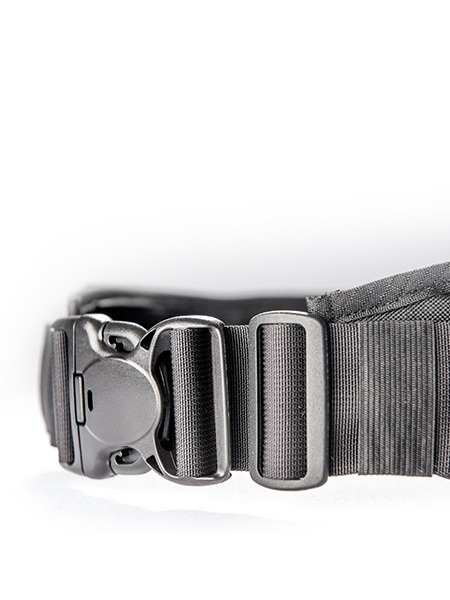 The belt has got Duraflex buckle (you have to press three buttons to unclasp the camera belt) and the additional adjuster which blocks one side of the 5cm stripe. 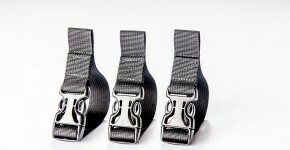 S/m size can be regulated from 75 cm to 105 cm, the stiffen part of the belt has 9cm height and 71cm length. 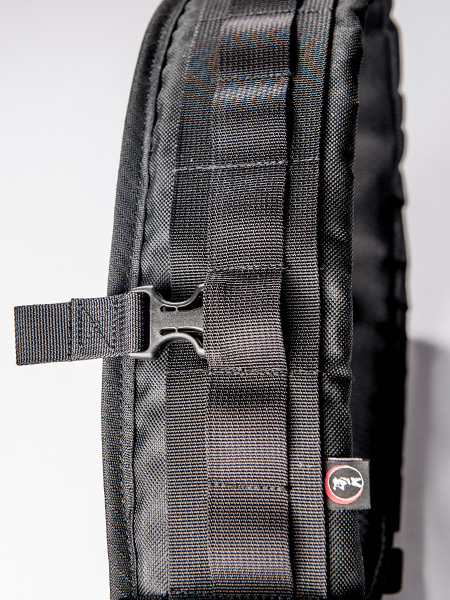 This camera belt has 8 outside points to fasten pouches ans 9 inside points to fasten pouches. 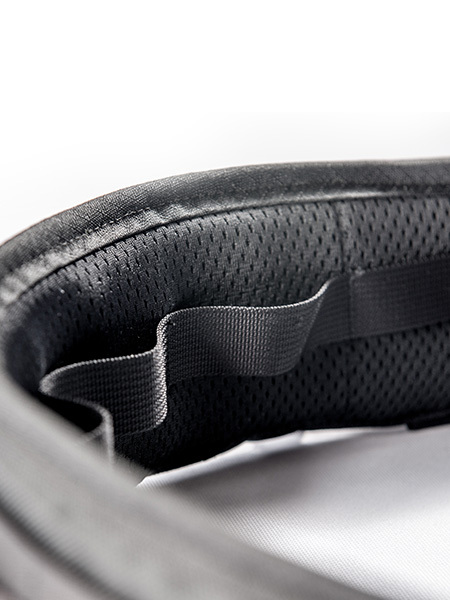 L/xl size can be regulated from 90 cm to 125 cm, the stiffen part of the belt has 9cm height and 88cm length. 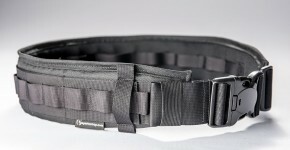 This camera belt has 10 outside points to fasten pouches ans 11 inside points to fasten pouches. In every kit there are 3 buckles which allow to attach supperting VTR stripe, Dual X onsteroids stripe (with PP4 stripes), Duoz supporting braces. The buckle which allows to fasten ‘sling’ type stripe to your hip. It prevents you camera lense from moving. It’s useful for immobilizing another camera. The buttom at the top of the buckle opens it.